LA TRINIDAD, Benguet – Security operations were beefed up in Dolores town in Abra after Friday night’s shooting carnage that killed a former vice mayor, his cop-brother and another villager. Pre-empting any spillover at the wake in Sitio Balneg, Barangay Poblacion, a platoon from the Philippine Army’s 503rd Brigade stepped in to avert any escalation of hostilities while emotions are still high, said Dolores Mayor Roberto Seares, Jr.
Friday’s shooting rampage left PO3 Dindo Guzman, 45; his elder brother, former Dolores vice mayor Dante Guzman, 53; and Jun Cabanaoan, a bodyguard of the town mayor, killed. The mayor said the shooting was not politically motivated and simply an altercation while gambling, but added that he plans to ban such games during wakes and even on private houses. Seares said his security aide was simply alarmed by one villager of the commotion and attempted to respond when he met one of the Guzmans along the way and was fired at. Cabanaoan was also able to draw his pistol and fired back. 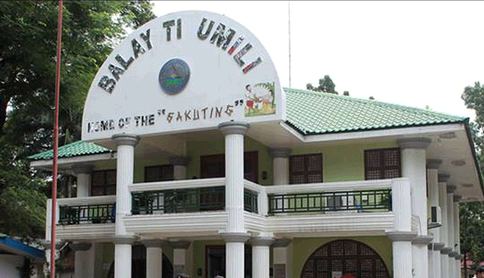 The Cordillera police who said it is supporting the gambling ban to prevent any repeat of the carnage reported that the villager whom the former vice mayor had a spat with before the shooting- Christian Jay Cortez, 22, alias Immong– has been subjected to inquest proceedings for direct assault with murder and murder at the Office of the Provincial Prosecutor, Bangued, Abra on Sunday. He is being held at the Dolores police station. A manhunt operation was also launched against another suspect Jeffrey Buentipo Borgonia and other suspects. But Cordillera police spokesman Supt. Davvy Limmong said the charges were a result of the police investigation on the accounts of Cortez when he went to the Dolores town police station. “But it is the right of anyone to question the charges at the prosecutor’s office if they feel aggrieved about the police probe and its results,” he said. Also hurt in businessman Christopher Tordil, 40 and Abra Electric Cooperative employee Cesar Zapata, 34. Probers found at least 18 fired cartridges of cal 9mm; 13 fired cartridges of cal .45; one slug fragment of unknown caliber; a deformed slug; a live ammunition for cal .45; another live ammunition for cal .9mm; two copper jacket fragments; and one black holster. Limmong added that they are closely monitoring the connection of the victims and suspects and are conducting background investigation on possible links to private armed groups including firearms registered to them and guns suspected to be in their possession. Mini marshall law for the time being. Okay Yan. Ala ket nasayaat met, anything to stop further bloodshed in Dolores/Abra. No sapay ket di nga dida pay i-“martial law” ti intero nga Abra. Diak pay ket nga makaliwaksay ditoy away nga lugarkon. Genti, mayat koma dayta ngem magna pay diay congresso dayta no kasapulan unay nga i-martial law ti sapasap nga Abra. Mukpay no mayat ti excutive order nga aggapu ken Prez. P’noy tapno i-martial law ti Abra. para kanayak nga ordinaryo nga umili,t laeng met matiliw nga ket ty lng ordinaryo nga umili nga nakalugan t ordinaryo nga paglugan,ngem no ty medyo nangina nga lugan a makita,aglabas je chekpoint t PNP,ket han d met kaya nga sita-en malaksid lng no natimbre nga t naglugan ket ada kuarta n nga pangsaka je naaala kaniana,adu met ketdi t rich nga tao t probinsya tyo nga impluwensiyado nga tao,no rimuar d je para angan d ket kompleto t bodyguard d,ket dagita nga bodyguard alangan nga awan t insabikil d nga armas.apay dakayo nga ada t turay pagbalinen yo met nga awan ammo t nanfibotos kania un,ken dakayo nga nagsapata nga emplayado t gobyerno nga mangipangtungpal t linteg ania ub-ubraen u,no sinno lng t kaya u,isu lng met t pagragsakon u,nga ada accomplishment u. dakayo koma t ukumen t tiempo,t han us-usto t ar-aramiden u,pwe.